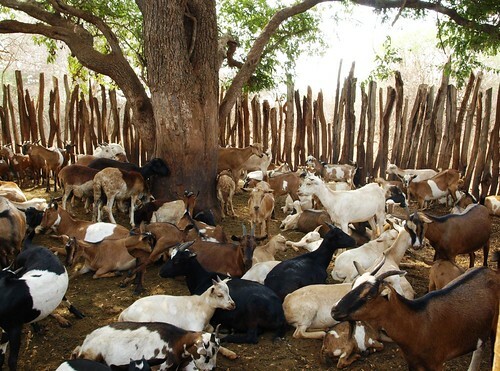 This goal of the project, Small ruminant value chains as platforms for reducing poverty and increasing food security in dryland areas of India and Mozambique (imGoats, in short), is to increase incomes and food security in a sustainable manner by enhancing pro-poor small ruminant value chains in India and Mozambique. to document, communicate and promote appropriate evidence-based models for sustainable, pro-poor goat value chains. 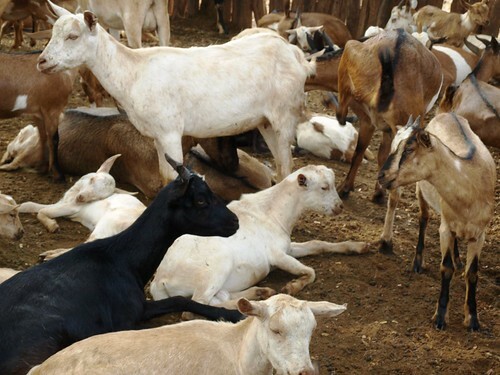 The main target groups are poor small ruminant (mainly goat) keepers, especially women, in arid and semi-arid areas. This includes small-scale agro-pastoralists who cultivate small plots of land, as well as the landless. In both cases, a high degree of dependence on common property resources is a key feature. The project aims to transform subsistence-level goat production from an ad hoc, risky informal activity to a viable, profitable model, increasing incomes and thereby reducing poverty and enhancing food security, while preserving community and national resource systems. In addition to goat keepers, beneficiaries include other goat value chain actors, including small-scale traders, input and service providers. The International Livestock Research Institute (ILRI) is the main implementing institution and is responsible for technical, administrative and financial management of the project. Rural community development activities are managed and conducted by the BAIF Development Research Foundation in India and CARE International in Mozambique. The project also collaborates with national researchers and other local development partners.